The Accidental Prime Minister is scheduled to be released on 11 January 2019. 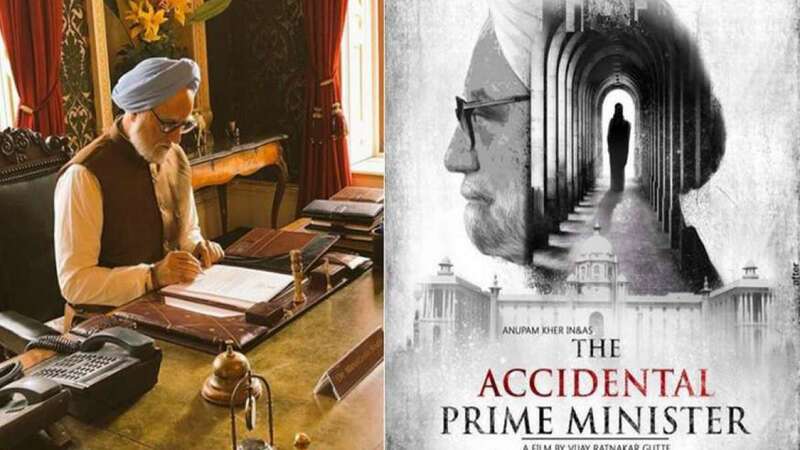 New Delhi : The Accidental Prime Minister, a film on former PM Manmohan Singh was into controversy for some time and a ban was put to its release. However, a fresh report confirms that the Congress in Madhya Pradesh said that it is BJP's propaganda to divert attention from real issues. The ruling team has denied banning the Anupam Kher's starrer movie which many believe gives a soft view of the Congress led by the Gandhis. Congress spokesperson Randeep Singh Surjewala said fake propaganda by the BJP would not led his party from questioning the ruling dispensation on important issues. "The film is so lowdown that we don't even want to discuss it. We don't want to give any unnecessary publicity to this film by protesting against it," said Congress' media in-charge Narendra Saluja. "I have written a letter to the director, we strongly object to the name and what was shown in the trailer. We want to see the film before it is released or else, we won't allow its screening in the state," said Syed Zafar of the Madhya Pradesh Congress. "Manmohan Singh is an intellectual leader. Using words like "accidental" prime minister is very wrong and we will not allow such a film," he warned. The film is based on the book by Sanjay Baru who served as Singh's media advisor 2004 to 2008, was released in Mumbai on Thursday. The trailer of the movie shows Singh as a victim of the Congress' internal politics ahead of the the 2014 general elections. “Riveting tale of how a family held the country to ransom for 10 long years. Was Dr Singh just a regent who was holding on to the PM's chair till the time heir was ready? Watch the official trailer of 'TheAccidentalPrimeMinister', based on an insider's account, releasing on 11 January," the BJP had said on Thursday night. Congress leader and Rajasthan Chief Minister Ashok Gehlot said propaganda against the Congress and its leaders would not work and the truth shall prevail. His colleague, Congress leader P L Punia, accused the BJP of evading answers on its “mis-governance” after having failed on all fronts. “This is the handiwork of the BJP. They know that time has come to give answers after completion of five years and they are now trying to divert attention by raising such issues and evade answering to the public after its government failed on all fronts,” he said. National Conference leader Omar Abdullah also tweeted on the film, saying, "Can’t wait for when they make The Insensitive Prime Minister. So much worse than being the accidental one." Directed by Vijay Ratnakar Gutte, the film stars Anupam Kher as Manmohan Singh and Akshaye Khanna as Baru. It is scheduled to be released on 11 January 2019.